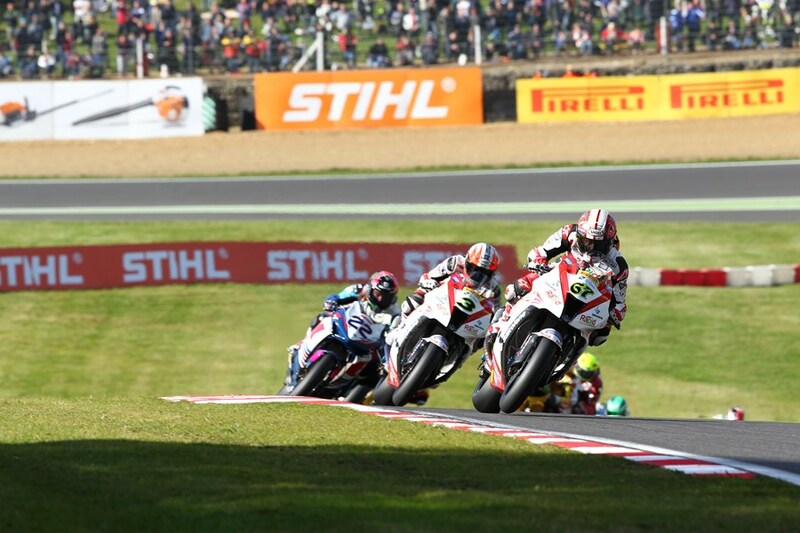 The world renowned outdoor power tool company, STIHL GB has extended its sponsorship of the British Superbike championship for yet another year. The partnership began back in 2008 and since has seen the introduction of the “STIHL Power Award” league, which rewards the rider who sits in first position, come the STIHL checkpoint on the first lap. The winner is rewarded with their very own collection of STIHL Power Tools… neat, eh? British Superbikes kickstarts again in little over a month and a half, on April 7th at Brands Hatch Indy Circuit. Prior to that, testing at Donington Park, Brands Hatch and Snetterton will proceed throughout March. All relevant dates for BSB in the coming season can be found here. Yet again, BSB looks to be one of, if not, the most competitive championship we will see this year in motorcycle racing; featuring returning champions, ex-GP riders, new pretenders and previous bridesmaids. The updated list of BSB riders can be found here. Stihl should do like Dolmar and power a motorcycle with 20 chainsaw power heads. Previous Previous post: Viñales top of the time sheets in Valencia day 2.